Episode VII: The Force Awakens will be released in theaters this December. The film is set thirty years after Episode VI: The Return of the Jedi, the third installment of the original trilogy. Are you prepared? Henderson Library would like to help you review your galactic history with an exhibit now on display on the second floor near the browsing books area. 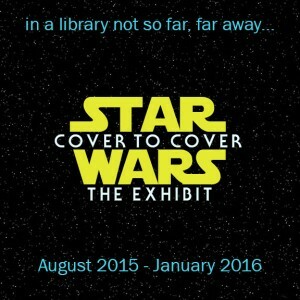 Star Wars Cover to Cover: The Exhibit features a basic overview, main character bios, spacecraft cross sections, weapons schematics, and some interactive areas, all designed to reacquaint you with the original film trilogy. 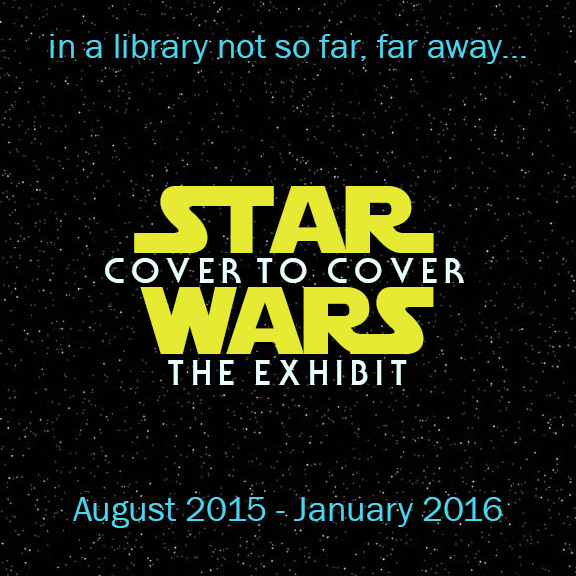 The exhibit will be on display until the end of January.